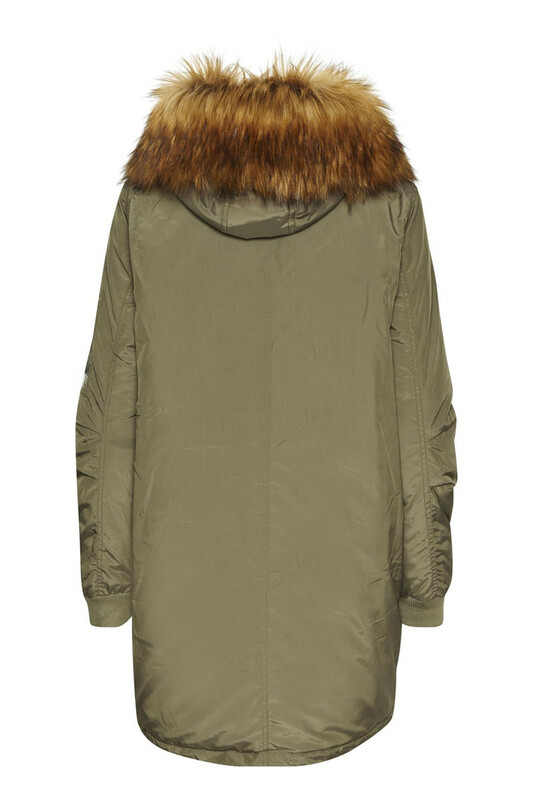 “Winter is coming” and this beautiful Parka coat from Culture will undoubtedly be your best friend against the storm. It is very comfortable, not heavy and provides a good warmth. Besides the good warmth, it has a stylish and timeless design - it's definitely a winter jacket you happily look forward to wear year after year. It has a nice Faux Fur part at the hood, which easily be taken off. There are a zip fastener and snap buttons on the front, as well as two other zip-pockets. 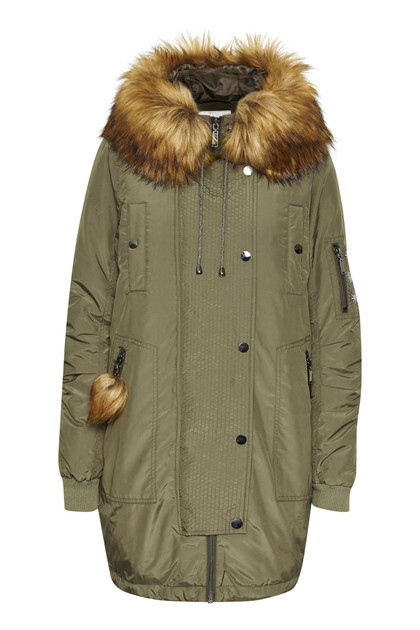 The Parka jacket has a simple, discreet and fine artwork on left sleeve.